Feeling a little like Aladdin today. As a Mac user, I’ve only had access to The Sims 4 since February of 2015, but I’ve really grown fond of the game since it’s installation. Yes, it’s missing a few key components that have built up my love of the franchise (TODDLERS!) but the pro’s outweigh the con’s in my opinion. This generation of The Sims runs faster and smoother on my puny laptop, and I enjoy the depth that the emotions bring to my little simmies. 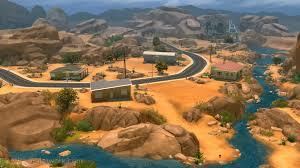 But I do not want my everyday characters living in dirty, smelly Oasis Springs. Sure the dinosaur is cool, but I have yet to move a family into the world. There are no lots with grass, and if you add grass to one lot yourself, you have to do it to all the rest, and that’s just no fun. I’ve just stuck to Willow Creek this entire time, and it’s become a tad tiresome. Same old lots, same old options. The answer to my prayers, and free at that! A happy surprise during my daily dose of interwebs browsing. 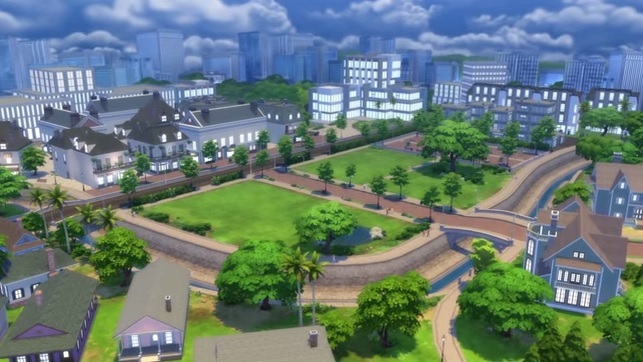 EA has announced that a new world will be released in the June 11th game update. Major game addition with little to no effort on our part. Just how I like it. The world of Newcrest boasts three new neighborhoods and 15 empty lots to build on to your heart’s content. A whole new world, and yes, there’s grass.